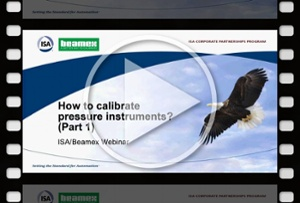 In this blog post, I want to share with you a two-part webinar series titled “How to calibrate pressure instruments” we did together with our partner ISA (International Society of Automation). 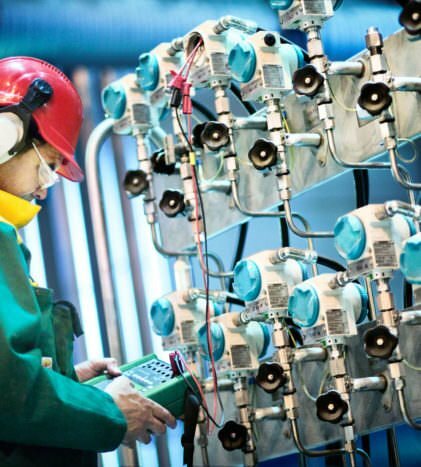 Hunter Vegas has over 30 years of experience in various automation projects. He currently works for the company Wunderlich-Malec. Ned Espy has worked over 20 years with calibration management at Beamex, Inc. and also has calibration experience from his previous jobs. To make it easier for you to see if there is anything interesting for you in these webinars, I have done a short table of contents. There you can see the main topics and the times these topics start, so you can quickly jump to the interesting point. In addition to these main topics, there are many other useful topics discussed in the webinars. 9:25 Are you under pressure? Investigating pressure. 14:40 Tank shape vs. pressure. 36:00 Differential pressure. Orifice, square rooting. 56:00 Measuring pressure – Air, steam. 8:50 DP calibration of storage tanks. With blanket, comp. leg, bubbler, with seals.